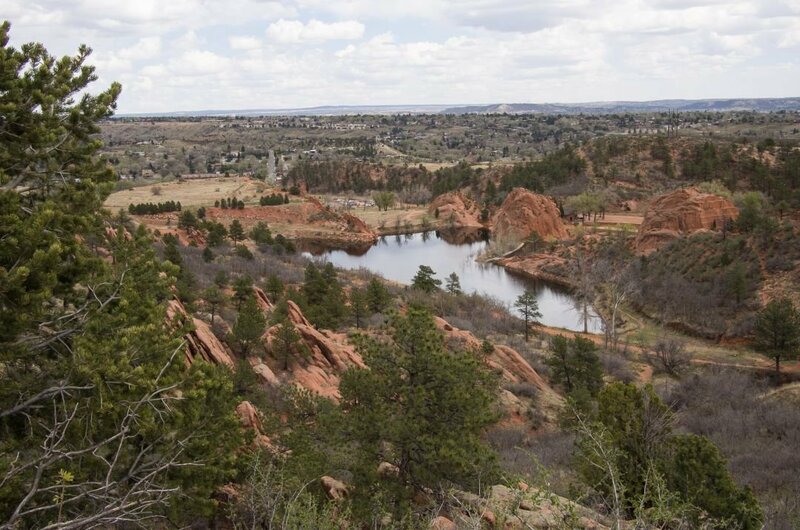 See what great adventures spring up when you take a private tour of Colorado Springs, the State of Colorado second largest city. It is located at approximately 6,000 feet above sea level and is paradise for both locals and tourists because of the pleasant weather, countless religious or national monuments and lush green forests. The outdoor activity and sights are especially what tourists come to see in Colorado Springs. The Natural Beauty of Mother Nature’s gems such as Garden of the Gods and Seven Falls are breathtaking. While you go on guided tour of trails through the National Parks, you will see the large variety of rare and wonderful flora or fauna such as elk or mule deer walking around in plain sight. It is not all about sightseeing tours when visiting Colorado Springs, there is also great shopping and very entertaining nightlife for tourists to enjoy. The Promenade Shops of Briargate have your favourite stores as well as some unique boutiques too. There are also some very stylish shopping malls. The cafes/ bistros and restaurants all with excellent food that gets your taste buds buzzing are only the start to a great night. There are many other entertaining venues for whatever you are in to. Bars that are quiet or loud with live music, comedy clubs to have you in stitches, movie theatres, music venues for concerts or lots and lots of nightclubs. 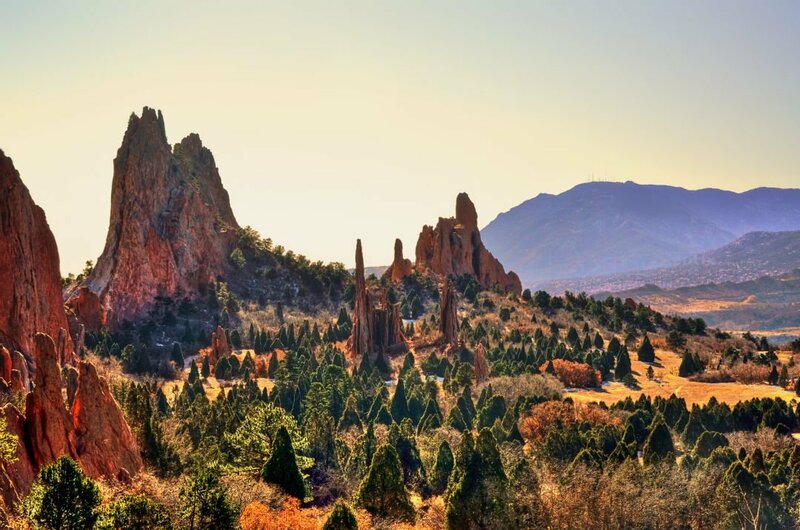 1 One of the most unique and stunning sightseeing tours is to Garden of the Gods. It is an area of jagged stone towers that jut up from the earth around 300 feet high with giant boulders and rock piles scattered around the landscape. A registered National Natural Landmark with a Visitor and Nature Center which is also a museum on the geology of the park. Here, is very popular for rock climbing, mountain biking and jeep and Segway tours. 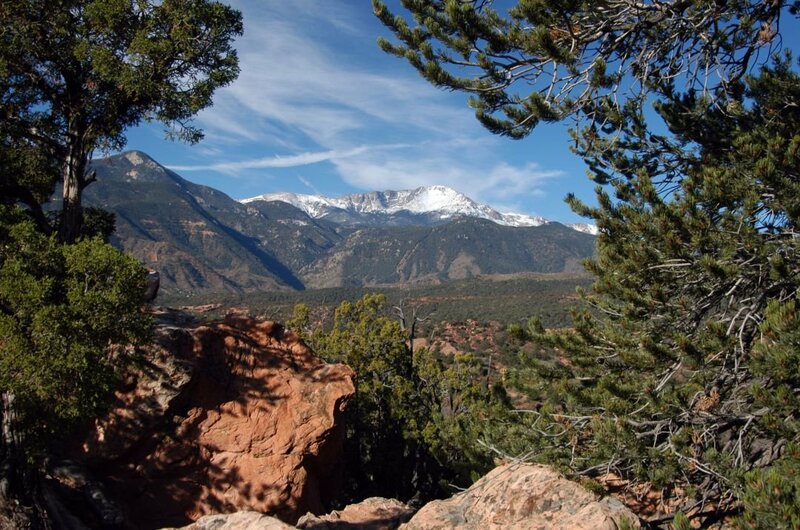 2 Pikes Peak in Pike National Forest is a fabulous sightseeing tour to take. It is 14,115 feet high and is only second to Mount Fuji for being the most visited mountain in the world. 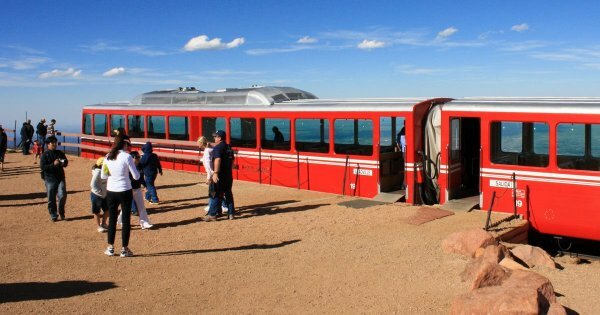 The best thing about getting here is that you don’t have to climb to the peak if you don’t want to, it is accessible by Pikes Peak Highway or, alternatively, why not take the Pikes Peak Cog Railway. This is a three hour scenic round trip. 3 Take a guided tour of the only Mountainside Zoo found in the United States. 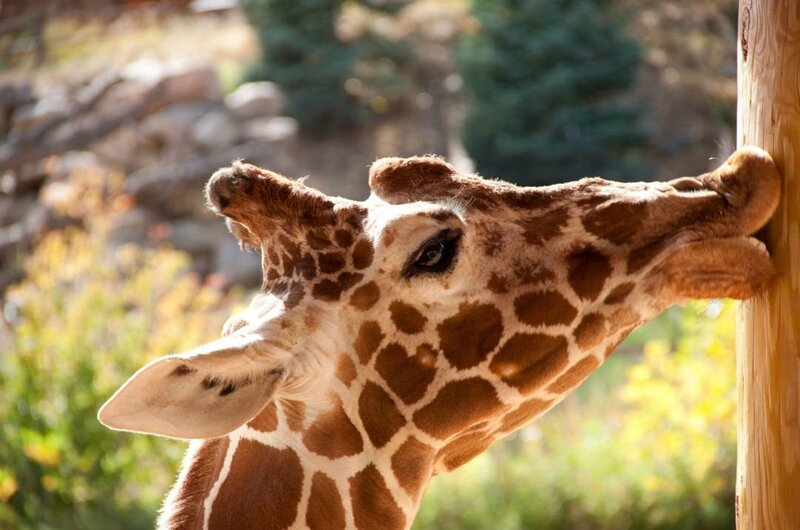 It is located in the south-west of downtown Colorado Springs on Cheyenne Mountain and is home to the largest Giraffe herd in the world. Visitors can purchase lettuce to feed the Giraffes from unique walkways built, so you are at eye level with the 17-foot tall animals. Also apart from the amazing views and animals, there is an antique carousel. 4 For exceptional beauty, take a sightseeing tour of Broadmoor Seven Falls which is also known as the ‘ grandest mile of scenery in Colorado’. 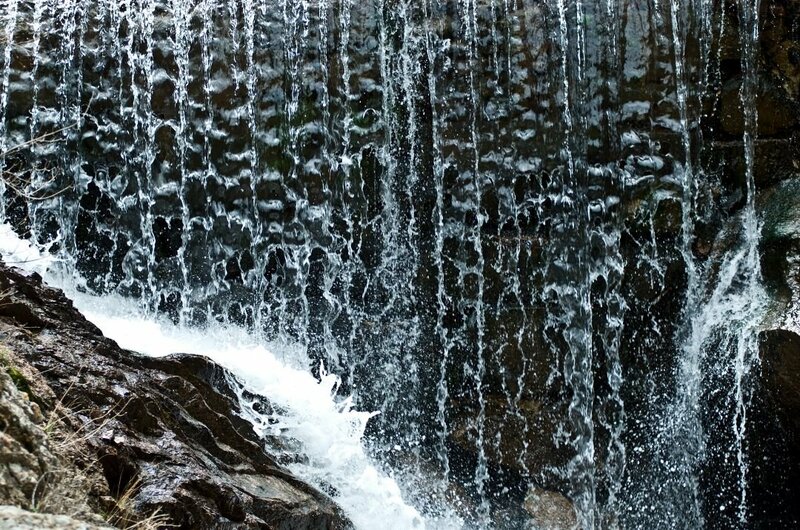 Located near Colorado Springs Seven Falls is a waterfall that cascades 181 feet in seven distinct steps down the cliffs of Pikes Peak. For the energetic, you can climb onto Inspiration Point by climbing 224 steps. To reach ‘eagles nest’ observation platform there is a mountain elevator. 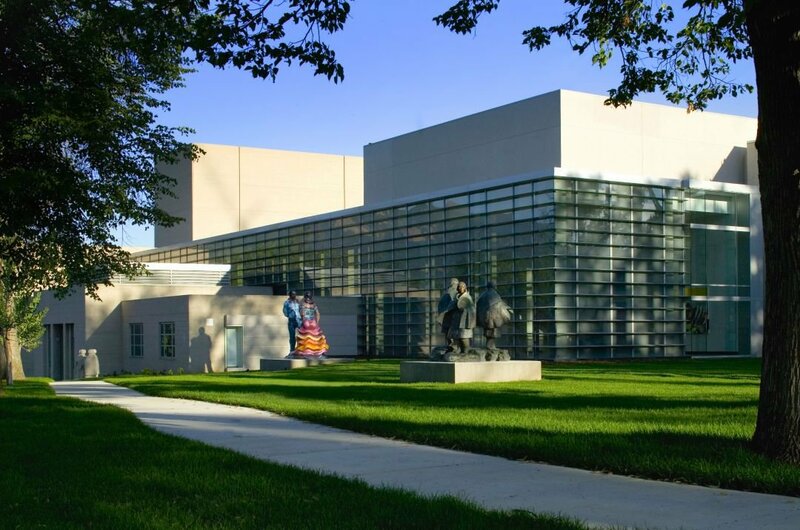 5 Take a guided tour of the only multi-discipline arts institution in the United States, Colorado Springs Fine Arts Centre. From starting off as an Art Academy in 1936, it is now an art gallery, art school, theatre and museum. It is possible to start your day in the Art Gallery, then the museum, have some lunch in the cafe, take part in a workshop for the afternoon and then, end the night watching stand-up comedy or a concert. 6 For something completely different, especially on holiday during the summer, is a private tour of North Pole Home of Santa’s Workshop. 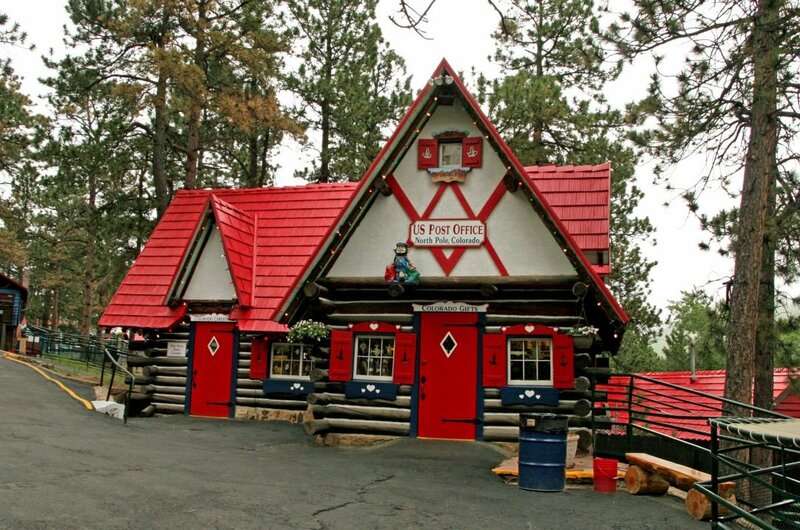 This is an enchanted theme park where you get to meet Santa Claus, Mrs Claus and their elves in their home or workshop. Enjoy great rides such as the Christmas Tree Ride or Antique Carousel. Take the Aerial Tram or miniature train for views from high or low. Purchase unique gifts from cute village shops. 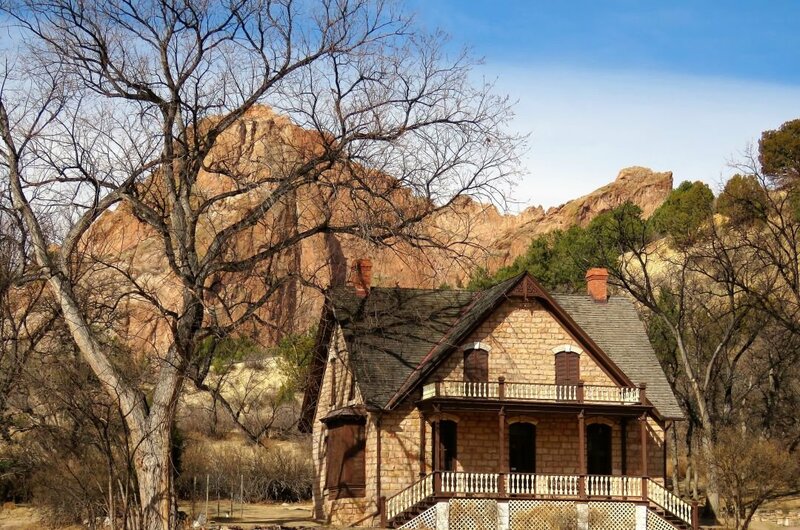 7 Take a guided tour of Rock Ledge Ranch Historic Site and be spirited back in time. Learn and see what life was like in the American Indian Area, Galloway Homestead in the 1860’s, 1880’s Rock Ledge House and Chambers Farm and much more from other eras. Experience the rigours of homesteading, the perils of 19th-century agriculture and the sophistication of early 20th-century estates. It is extra special here around annual festivals. 8 Take a sightseeing tour to Red Rock Canyon which is a series of canyons and ridges that were sculpted by the erosion of uplifted rock strata. There are fabulous views from the ridges and canyons as well as sheltered enclaves. Walk or hike the trails over and through varied terrain, go horseback riding or cycling. Climbing is very popular, but you need to be registered with the Garden of the Gods before doing so. 9 On a guided tour of Peterson Air & Space Museum, you are entering the oldest aviation museum in Colorado and one of 12 United States Air Force Field Museums. The vast museum complex is spread over three of four original airfield structures that were built between 1928 and 1941. 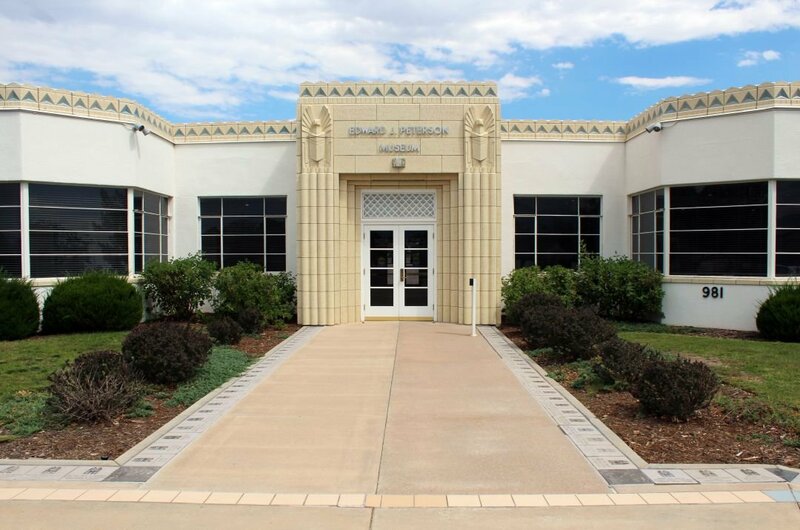 The museum is named after a World War II US Army Air Corp pilot, 1st Lieutenant Edward J. Peterson who was from Colorado. 10 A great sightseeing tour to take for all the family is to Ghost Town Museum. 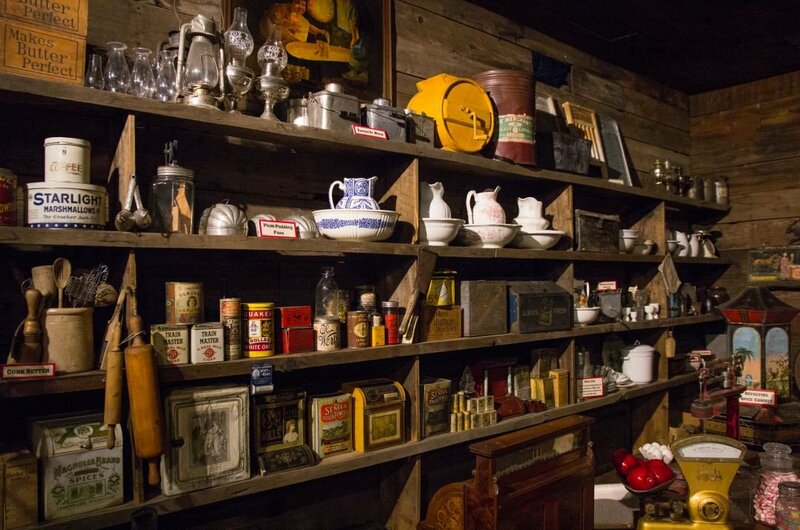 This museum was created to preserve a piece of Colorado’s Wild West heritage in 1954. Walk through preserved towns from the wild west era, have a drink in the saloon or buy something from the General Store. The historical authentic old west artefacts are amazing to see and learn about. Children get a turn of antique arcade games or to do some Gold panning. January to March are the ideal months for winter breaks when the snow has fallen in high areas, the skies are blue and the sun is shining. National holidays are always entertaining times to visit any state but once you are aware that it can be crowded, accommodation and sightseeing tours are more expensive. The harvest months of September and October are very popular times to visit as the weather is amicable and the harvest festivals are brilliant. Colorado is yet another State that is not the cheapest, but that does not mean you cannot get good prices if you look hard enough. An average price of a meal for two people in a mid-range restaurant is around $70. A Combo meal at McDonald's is $7. Imported beer can reach as much as $10 a bottle. And a cappuccino in a state known for its cafes is around $5. Look at different private tour operators for the best tour which may not always be the cheapest. When travelling to anywhere in Colorado, you are in a State that is the highest altitude in America and therefore there is a slight possibility of Attitude sickness. To avoid this, drink lots of water and take your time getting to your destination, so your body adjusts. There is no alcohol served to anyone under the age of 21, and this is strongly adhered to here. Be careful of your possessions especially when in busy streets as the pickpockets. Colorado has on average more sunny days than other states in America with around 260, it may be freezing and snowing but the sun remains to glow. The winter months are usually cold and snowy especially in elevated ground during January. Temperatures are as low as minus 10 degrees Celsius. The summer months are usually warm with dry days and a bit chilly at night time with July the hottest. September and October are warm and great months for private tours.